Channel Five to launch HD programmes on Freeview from 2010 | What Hi-Fi? Viewers will be able to watch top shows such as The Gadget Show, UEFA Europa League and CSI in HD on Freeview once the digital switchover begins. 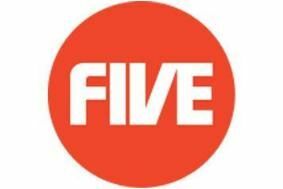 Initially Channel Five will simulcast its main programmes at peak times in standard and high definition. However, in the future Five predicts sharing its HD channel with another broadcaster during daytime hours, and supplying other services such as video-on-demand in HD overnight. According to reports in MediaWeek, there are also plans for blockbuster movie premieres to be broadcast in HD on Five from late 2010. The channel faced tough competition from Channel 4 and Welsh-language channel S4C for the HD slot on Freeview. "Both bids were of high quality, but after careful consideration we decided that the application from Channel Five fulfilled the various criteria more fully than the application from C4 and S4C," says Ofcom. Three Freeview slots had already been reserved for new HD services prior to today's announcement. One of those slots is for ITV, while the other has already gone jointly to Channel 4 and S4C. The initial three HD services are expected to begin with the Granada region from 2009. The rest of the UK will follow as each region switches over to digital TV with nationwide coverage by 2012. Meanwhile Ofcom is also talking to the BBC with a view to allowing HD services to be launched in other parts of the UK in advance of this timetable by the use of temporary frequency assignments at a number of main transmission sites.